Blank - Laser printer or ink jet ready, full color certificates with silver foil border & PTA or PTSA Logo. Our same PTA logo paper certificate, but we do the laser printing in-house so you don't have to! 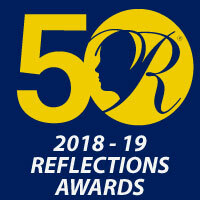 Just enter certificate information online and it will arrive to you printed and ready to award! Black, 3" by 6" real marble award with Metal PTA Icon & custom print plaque. 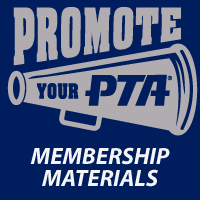 Enter online The name, school PTA, Officer Title & Year(s) Served. Customized award plaques with your own PTA or PTSA logo and individual name, job title plus personal message below. 10" walnut gavel with PTA / PTSA custom printed band around the gavel head. Cherry finish wood plaque with recessed clear acrylic on top. The full plaque size is 10 1/2" x 13" and holds 8 1/2" x 11" certificates. 4 rosettes are included that tack down each corner. 12" by 19.5" Certificate Holder - Fits both 8.5" by 11" & 8" by 10" award certificates. Heavy dark blue cover stock with silver foil imprint of PTA logo.